Zircon, a natural gemstone, is not very well known by the general public and I think that's because it's often confused with cubic zirconia, a lab created stone. You will never find an imitation stone in my shop so I want to say again that this little beauty is the real deal as found in nature. Zircon gemstones are wonderful because of their very high refractive index (1.810 to 2.024), which is similar to that of a diamond (2.417 to 2.419) giving it exceptional brilliance and fire. It can do amazing things with light! They come in several colors and perfectly clear like a diamond. Sparkle is what we love and this little gem will deliver! It is an oval cut that is 6x4mm and .75 carats. The Sterling Silver band is handmade. I wanted something timeless to go with this twinkling stone that so reminds us of a diamond. 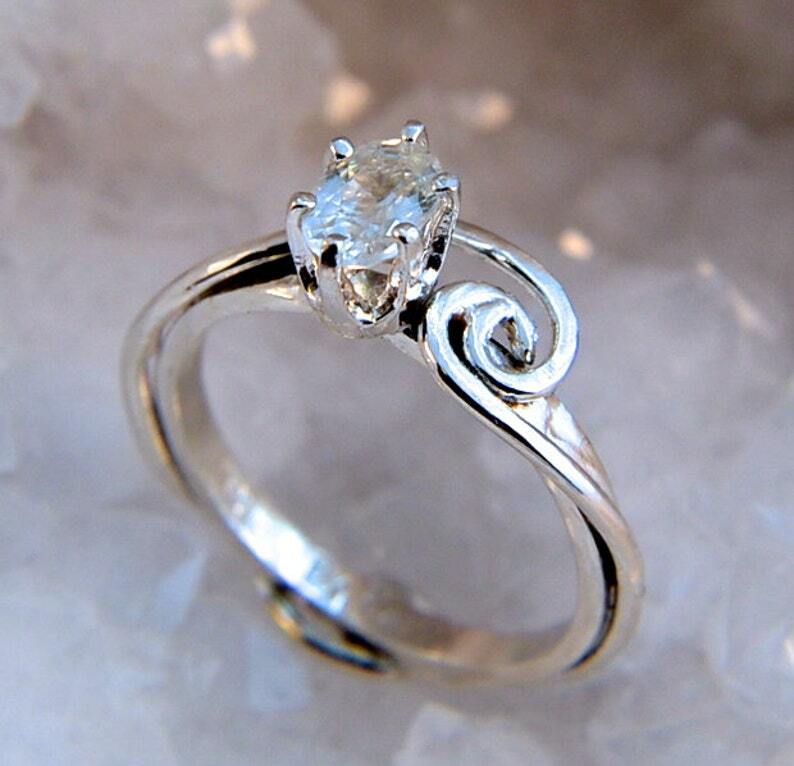 Using six prongs, the gem is snuggly set while the silver crashes over it then flows down the side of the band. There's a secret curl on the palm side of the band. Life is too short to wear ordinary jewelry!